If you’re shopping for the perfect roof shingle to top your home, then now is the perfect time to explore the types of asphalt shingles available. There are basically three kinds of asphalt shingles. Here’s what you need to know about them in order to choose the best roof shingles for your home. Are you searching for shingles that offer both affordability and functionality? You’ll want to take a look at 3-tab shingles. 3-tab shingles are the most basic type of asphalt roof shingles, so they’re generally the least expensive option. Lightweight and flat, these shingles feature an exposed layer that is normally notched into three tabs. Installing them gives your roof a tidy, smooth, horizontal appearance. The aesthetic options are not quite as extensive as what you’ll find when looking at more expensive shingles. However, you’ll still have several shingle roof colors to choose from. While their lack of heft does leave 3-tab shingles more vulnerable to blow-off issues than heavier shingles, they generally have a 20-year lifespan. Ultimately, 3-tab shingles can be a good choice, especially if your budget is tight. If you want more durability and depth from your roofing shingles, then you may find architectural asphalt shingles an appealing option for your new roof. Made from multiple layers of shingles, these products are stronger and heavier than standard 3-tab shingles. As a result, they are better able to resist high winds, stormy weather and other common threats. You can also expect them to last longer. Most architectural shingles have a 30-year lifespan. In addition, their thicker dimensions provide more texture and shadow. Installing them produces a roof with a richer-looking surface that’s more visually interesting. What about cost? Covering your roof with this type of asphalt shingle will come with a higher price tag than using 3-tab shingles. However, many argue that architectural shingles offer a better value over time. After all, they tend to last longer. Therefore, you’ll likely be able to go longer before confronting the issue and expense of another roof replacement. Do you want the luxurious look of slate or cedar shakes without the high cost? You’ll love the possibilities offered by luxury shingles. These composite roof shingles mimic the look of natural roofing materials. Like architectural shingles, luxury shingles are composed of multiple layers of shingles that create a more interesting roof surface. The additional layers also offer increased durability. Because they’re heavier, luxury shingles are far less likely to tear, curl or blow off than 3-tab shingles. However, that extra weight can occasionally present problems. You’ll need to make sure that your home’s structure can support it. If you’re eager to discover more about the types of asphalt shingles or have other roof-related questions, count on Mid Florida Roofing. We’re a full-service roofing company committed to providing homeowners throughout central Florida with superior roofing services. 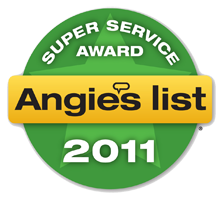 Whether you need to repair your existing roof or install a brand-new one, your complete satisfaction is our goal. Contact us today at 407-830-8554 to request your free estimate. This entry was posted in Roofing and tagged 3-tab asphalt shingles, architectural shingles, asphalt shingles, cedar shake shingles. Bookmark the permalink.